Expand and share your love of nature and nurture the next generation of naturalists! Docents lead groups of school children in the Learning Laguna program, a two-part wetland education experience for 2nd-4th grade students. Docents visit classrooms with specially designed, engaging activities, and then lead those students on an experiential field trip to the Laguna the following week. The Learning Laguna program serves over 1,300 students in schools throughout the watershed each year. 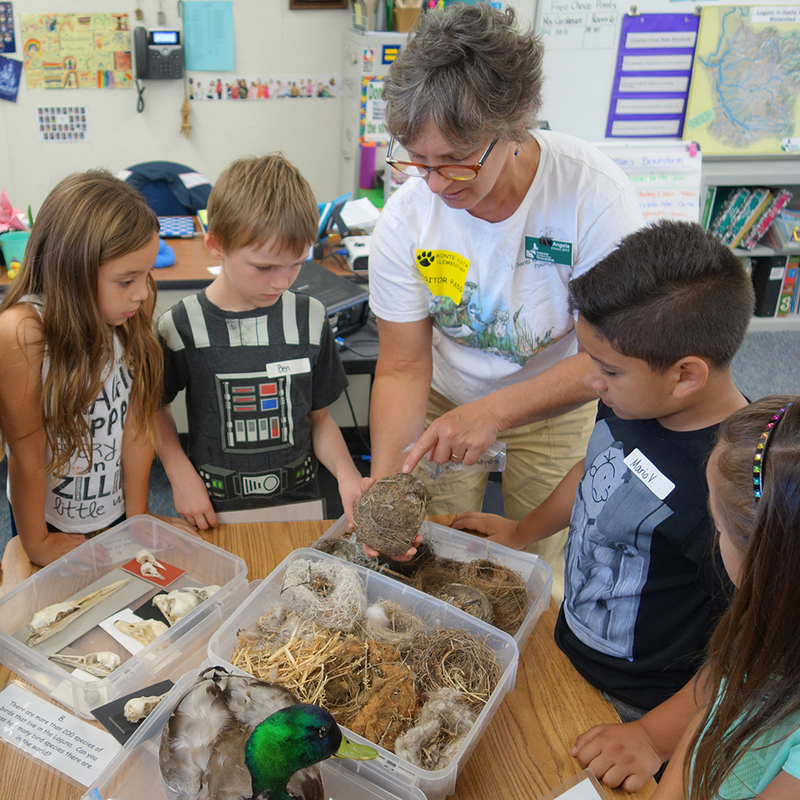 Experts in biology, natural history, and environmental education train Learning Laguna Docents in lively classes and field trips. Training sessions include presentations, discussion, and hands-on practice with Learning Laguna activities, and field trips to special Laguna locations. This 9 week training course consists of eleven classes held on Monday mornings and Tuesday evenings at the Laguna Environmental Center (March 12 – May 6, 2019). Docent training is approximately 50 hours, including observation time spent in elementary classrooms and on school field trips to put all the learning into context. Trainees receive a binder with reading and reference material that is closely tied with the theme of each classroom session. The fee for training is $145. This fee helps to offset the costs of running the training and materials, plus a one year membership to the Laguna Foundation. A small number of partial scholarships are available.